I’m sure regular readers of my blog will know all about Degustabox by now, but in case you don’t, here’s a quick rundown. Degustabox is a monthly surprise food and drink subscription box which costs just £12.99 per month including delivery via DPD couriers. The products you receive are worth much more than that so it is fantastic value for money. It is a brilliant way of discovering new products and brands and encouraging you to try new flavours and recipes using the products. As you have no idea what you will receive each month, the excitement when the box arrives is huge! I am always really impatient to open mine instantly, but my son loves us to take it in turns reaching in and picking out an item at a time, which means if it arrives while he’s at school, I have to use every scrap of willpower I have to leave it untouched! 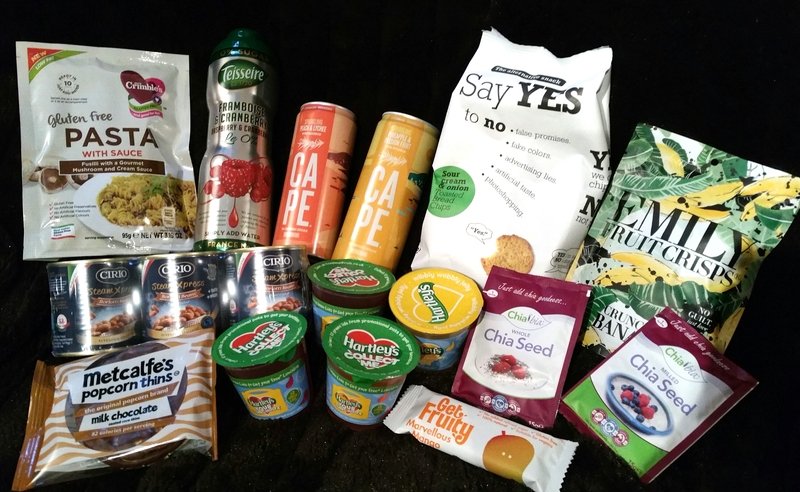 The September Degustabox was yet again packed with delicious products for the whole family. There were items to cover every part of the day, from meals to snacks and drinks. Let me show you what it contained. 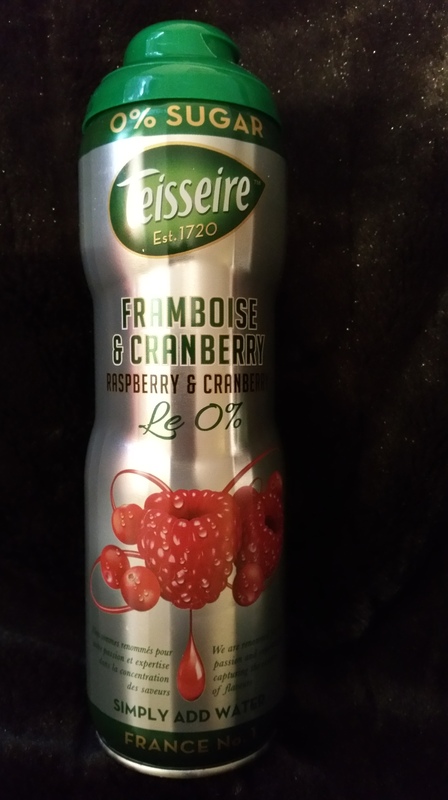 TEISSEIRE SIROP… I’m starting with my favourite product this month. This is a French cordial type of drink. I received the Sugar-Free Raspberry and Cranberry flavour but you can also get Pink Grapefruit, Lemon, and Grenadine varieties in the sugar-free range. You only need a tiny bit of the syrup to make a truly delicious drink. You can add it to still or sparkling water, or to cocktails. The fruity flavours are perfect, smooth and naturally sweet. I loved the aluminium packaging too. It gave it a really luxurious appearance, as did the silky thickness of the syrup. We all loved this drink and will be definitely buying this regularly now! The RRP is £2.99. 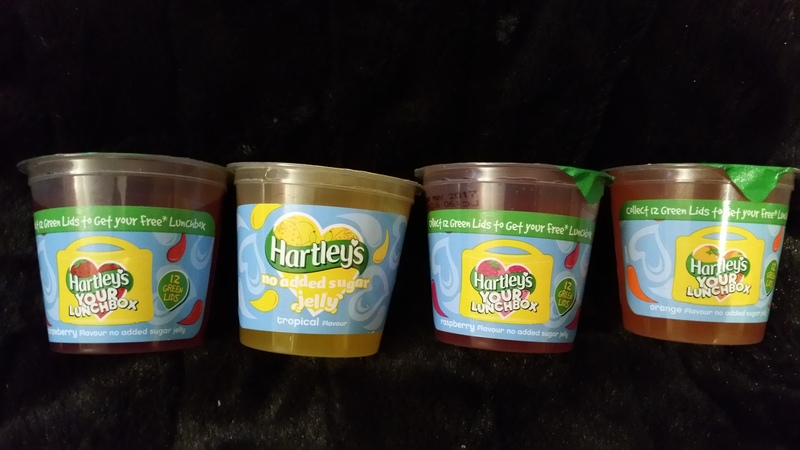 HARTLEY’S NO ADDED SUGAR JELLY POTS … There were 4 of these jelly pots in the box, much to my son’s delight! I had Raspberry, Strawberry, Orange, and Tropical flavours. I am really conscious of the amount of sugar in so many products aimed at children, so these jellies are wonderful as they have no added sugar, and a lovely fruity taste. They are just the right size to fit in lunchboxes, and are perfect as an after school snack. The RRP of these is 50p per pot. 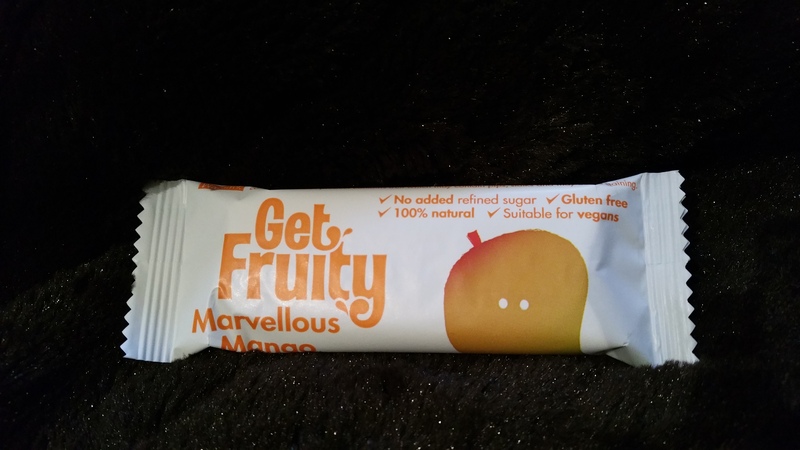 GET FRUITY … I received one of these bars in a previous box but in a different flavour. This time I had Marvellous Mango, but you can also get Juicy Apricot, Orange and Ginger Bar, Moist Mixed Berry Bar, Scrumptious Strawberry Bar, Tangy Pineapple, Coconut and Lime Bar, and Radiant Raspberry Bar. Each bar contains pieces of real fruit and juice so carries the flavour perfectly. The fruit and juices are combined with gluten free oats and Virgin coconut oil to make a delicious snack bar, ideal for lunchboxes or on the go. I had mine as a quick breakfast on a rushed morning! The oats make them satisfying and stop any hunger pangs. The RRP is £1. 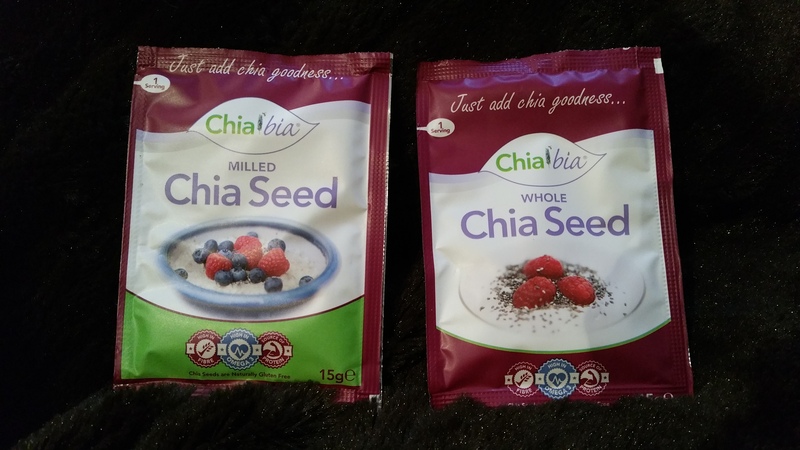 CHIA BIA … I received a packet of whole chia seeds and a packet of milled (ground) seeds. Chia seeds are super healthy, packed with omega 3, protein, fibre, vitamins and minerals. They are perfect for adding to smoothies, yoghurt, porridge, salads, and in baking. Last month’s Degustabox contained Bircher muesli which introduced me to the joys of overnight oats. I’ve continued to make that for breakfast and have been adding some of the whole seeds to that. When the seeds absorb moisture they swell and go jelly-like but with a slight crunch (sounds revolting but it really isn’t I promise). I’ve loved that texture with the oats. If you prefer you can sprinkle them on just before serving so they stay super crunchy. The RRP of these is £1 per pack. 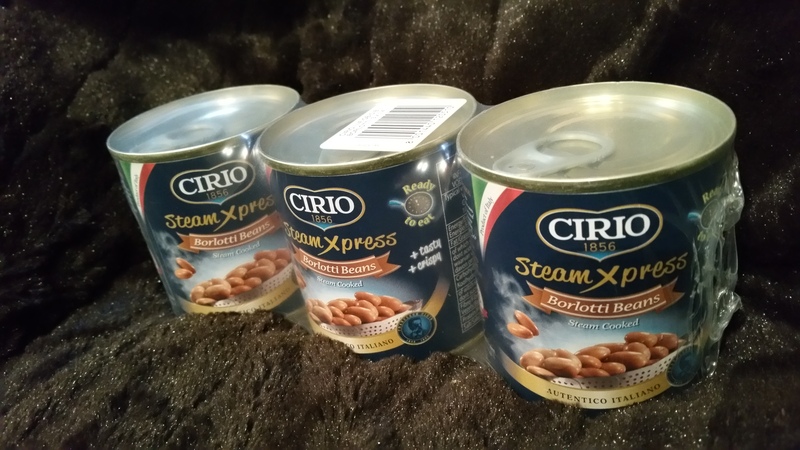 CIRIO BORLOTTI BEANS … I love the Cirio brand, but had only had their tomato based products before. I have to confess I had never eaten a Borlotti bean until receiving them in this Degustabox. I received 3 cans of them so plenty of chances to experiment. The beans are picked, shelled and steam-cooked in their cans to maintain a tender texture. They are a great source of fibre, vitamins, proteins and carbohydrates. In last month’s box I received some delicious Tobasco Barbecue sauce which I had used to make a barbeue chicken dish. I decided to make it again but to add some Borlotti beans, onion and pepper to the chicken in the sauce. My partner loved the beans so much he had a second helping! I used another can in a chilli con carne, but replaced the red kidney beans with Borlotti beans instead. That was delicious! I still have one can left but I will probably use them in another chilli as that was so good. The RRP of these beans is £1.89 for a pack of 3 cans. 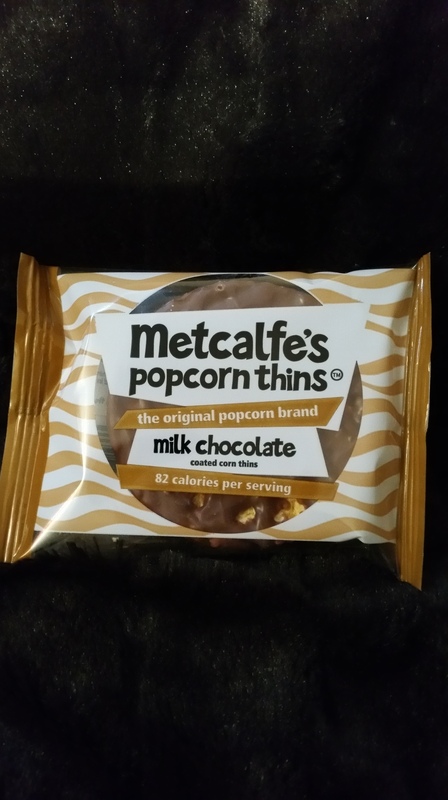 METCALFE’S POPCORN THINS … I have had these before and love them! They are available in dark or milk chocolate varieties. I received the milk chocolate which pleased my son as that is his favourite. They are kind of like a rice cake, except they use corn instead of rice. They are covered in a thick layer of Italian chocolate, and as you can imagine they taste soooo good. There are 2 thins in a pack. Again, perfect for lunchboxes (if your child’s school allows chocolate in them) or as a tasty snack anytime. The RRP is £1. 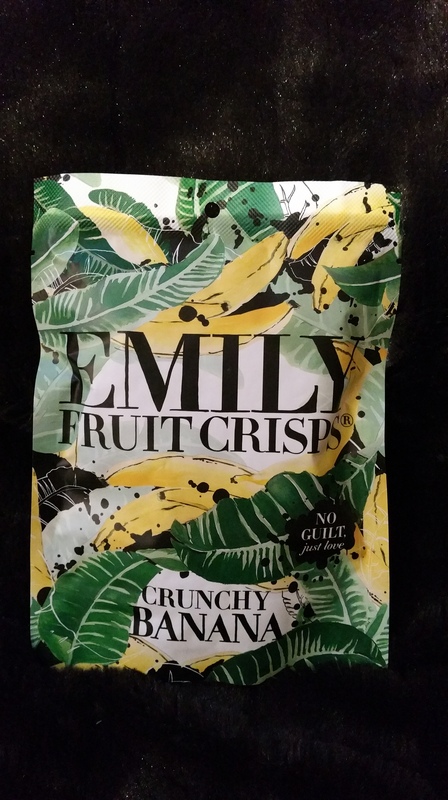 EMILY FRUIT CRISPS … I received a packet of Crunchy Banana fruit crisps. When I opened the packet I thought they just looked like slices of dried banana so wasn’t overly excited to try them. When I did taste one though I realised they are much nicer than ordinary dried banana! These have the crunchiness of a crisp, rather than being just hard and dry, and they retain the banana flavour perfectly! Really full of sweet flavour. They have nothing added whatsoever, except a tiny bit of oil. The crunchy texture made them perfect to crumble up over yoghurt. The RRP is £1.75. 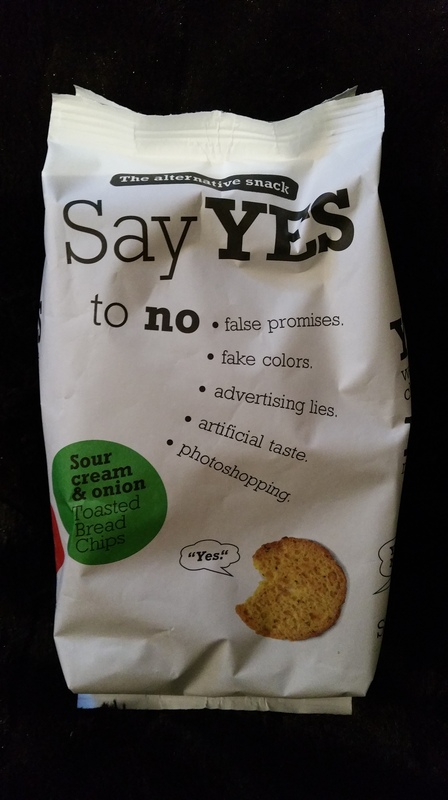 SAY YES TO NO … I received a pack of Sour Cream and Onion Bread Chips. I love this brand and what they stand for. Say Yes to No means no added nasties and artificial flavourings, no false promises, no photoshopped images, no advertising lies, but yes to delicious chips. What you see is what you get, and I love that! These bread chips were scrummy. They tasted natural and were bursting with flavour. Perfect to eat as they are or with a dip. Or crumble up over salad. The RRP is £1.49. 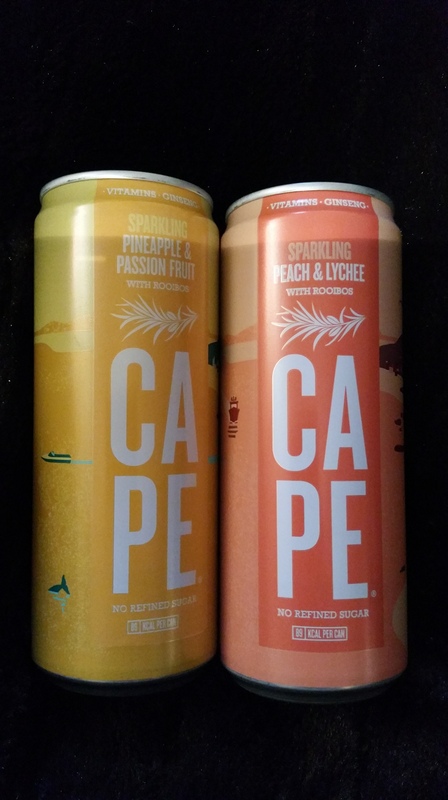 CAPE DRINKS … I received 2 cans of fruity sparkling drinks, Peach and Lychee, and Pineapple and Passion Fruit. These were amazing! So refreshing and light and fruity. They are made from Rooibos Tea, fruit juices, ginseng, natural botanical extracts, and added vitamins, and are packed with anti-oxidants. the peach and lychee was my favourite but both were beautiful. They contain only natural ingredients and have no refined sugar. Perfect for a healthy diet. The RRP is £1.59 per can. 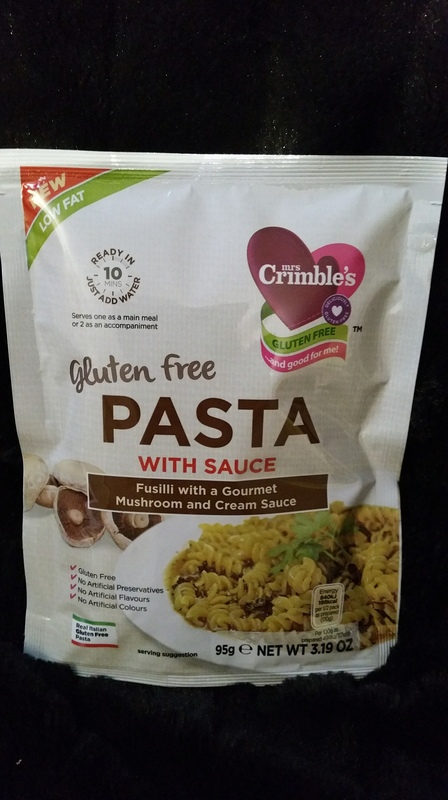 MRS CRIMBLE’S GLUTEN FREE PASTA WITH SAUCE … I love Mrs Crimble’s products. They are a fantastic brand for gluten-intolerant diets. I received Fusilli with a Gourmet Mushroom and Cream sauce. Sadly though I hate mushrooms, so couldn’t try this. I gave it to a friend who said she had it for lunch one day and it was beautiful. She said the sauce was delicious and she has recommended it to a friend who has to have a gluten free diet. The RRP is £1.99. If you would like to try a Degustabox for yourself, click HERE to go to their website and enter the code BLDEG15 at checkout. This will give you a whopping £7 off the price of your first box, so your first box will be just £5.99! Absolute bargain. I hope you enjoy it! DISCLAIMER: I recieved my box in exchange for an honest review. All views and opinions are my own.